Comment: I have a shower that needs to be tiled, roughly 3 x 5, floor to ceiling including the ceiling. We actually bought the tile ourselves awhile back but donât feel comfortable installing them. The wall and ceiling tile is 12â x 24â. We have small stone tile for the floor. The shower is waterproofed should you accept finishing someone elseâs work. Comment: Heater goes on but no heat coming out of the vents? 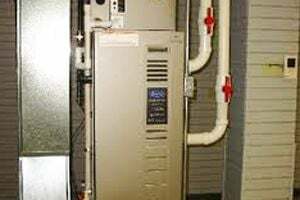 Comment: We're looking to replace our aging HVAC system (AC and furnace) with newer, more efficient equipment. Comment: Purchasing a home in Centennial. House needs the furnace and airconditioner replaced and I would like to do this before moving in. We will take ownership of the house on April 16th and would like to get the job quoted and completed in the next two to three weeks. Current aircondition compressor base is not level, this will need to be fixed. I will alsob be replacing a water heater if this is of interest to the contractor. Englewood Heating & Furnace Contractors are rated 4.76 out of 5 based on 6,886 reviews of 101 pros. Not Looking for Heating & Furnace Systems Contractors in Englewood, CO?